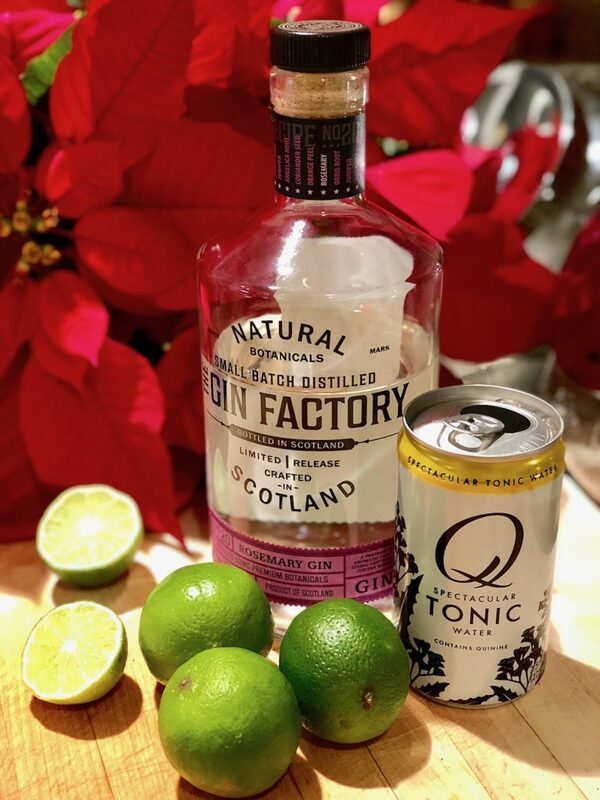 Try this Rosemary twist on a regular Gin and Tonic for the holiday season! Garnish it with a sprig of Rosemary and every sip you take smells like you are in the middle of a snowy forrest cutting down your very own Christmas Tree. I suggest adding dried cranberries to the sprig for pop of festive color (and a little snack). Have a happy holiday and ENJOY!